Expansive Ocean View Lot—Exclusively located in the breathtakingly beautiful South Ridge in Playa Flamingo! Sweeping views of Playa Flamingo and the Bay where the new marina will be situated. A 5 minute Walk to the beach! One of Flamingo’s Top rated restaurants, Coco Loco is also located only minutes from this location! Options abound with a large building pad, prepped by the sellers and ready for your build, and a lower level where you can execute a multitude of options such as build a separate rental to generate income. Lower level also has fantastic ocean views. Views to the side of mountains and the sunrise as it crests over the top. Close to many restaurants, shops and excursions…the perfect place for a vacation getaway, investment, or to put down roots. Wonderful opportunity for one of the last pieces of land on the South Ridge! 1,578 m2 (Just under 1/2 acre). No HOA fees. This Oaks condo is the best value in the entire area! This 2 Bedroom, 2 Bath, first level condo is part of a beautiful gated community which features 4 Pools, 24/7 security, green areas, kids and dog park, hiking trail, covered parking and more! Nature abounds at the Oaks, right outside your door. 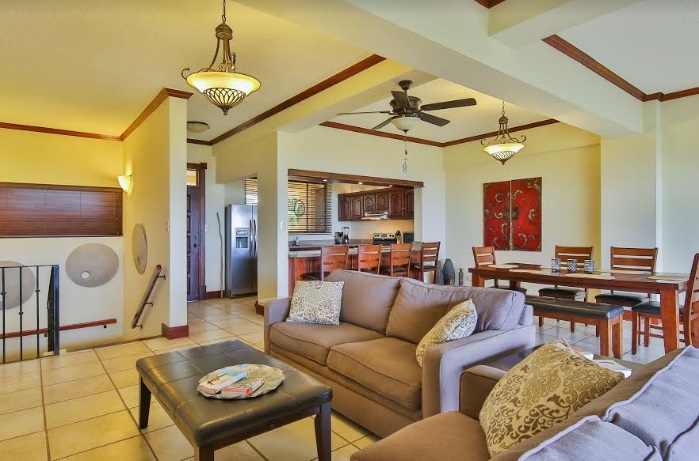 The Oaks is located only minutes from many area beaches such as Tamarindo, Langosta, Avellanas, Playa Grande, Conchal and Flamingo. Conveniently located minutes from all services such as grocery stores, banking, medical and more. Located under 1 hour from the Liberia International Airport. The Oaks features 96, 2 Bedroom, 2 Bath condos. This unit is very well maintained and was never used as a rental. The home features 2 Bedrooms, 2 Bathrooms and is sold fully furnished, turn-key. The condo features a master bedroom with private ensuite bathroom. The guest bedroom has access to a full bathroom. The great room area is spacious and features a family room, kitchen, breakfast bar and large laundry and utility room with washer and dryer. The property has all the bedrooms located on one main level with the exception of the master bedroom suite, which has its own private balcony, located on the second level of this home. The kitchen has been designed for the discerning food lover, with Professional Series stainless equipment, two refrigerators, two wall mounted ovens, two dishwashers, 5 burner gas cooktop and wine cooler. Just outside to the West, the you will find a gas BBQ and bar area. All of this is intermingled with the huge entertainment room with ample seating areas and is a space that seamlessly blends from indoors to outdoors. Off the southern edge of the kitchen/great room, enjoy the 16 person outdoor dining pavilion with integrated power roller blinds. Relax on the sunset terrace, enjoy the sundeck on your chaise lounge or just take a seat and overlook the infinity pool as the sun sinks into the Pacific. Welcome to Casa Linda at lot 30 in Los Almendros in the much sought after Resort and Golf community of Hacienda Pinilla. 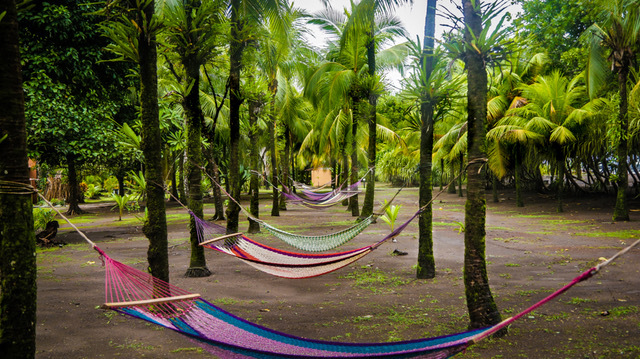 Hacienda Pinilla’s 4500 acres offers a perfect combination of plains, mountains, beaches and rivers which offer sport enthusiasts a range of activities from triathlon trails, bike trails, two world class surfing beaches, lighted tennis courts, fitness center, yoga and more! 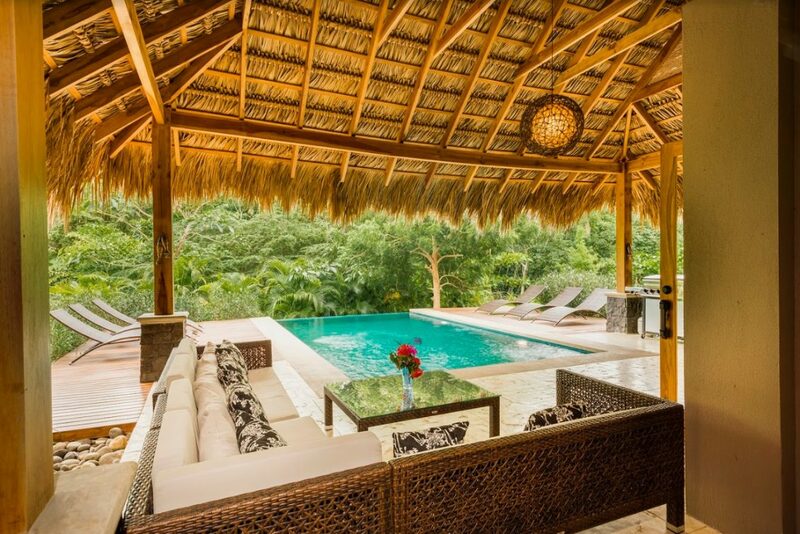 This home was designed by Mauricio Mora, well-known architect with many projects in Hacienda Pinilla. This 2,500 SF single level custom luxury home was completed in February 2017. 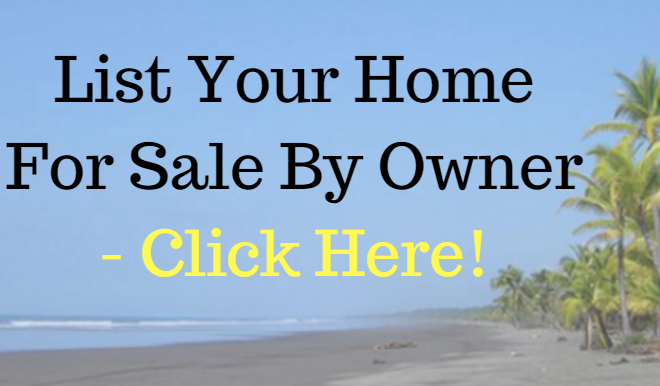 You will not find a better value for a quality-built home in Hacienda Pinilla. 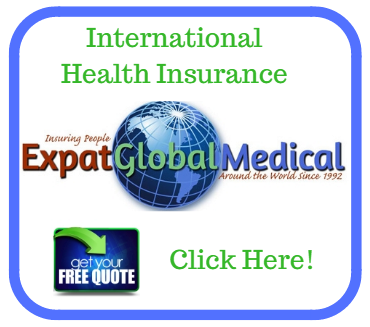 No shortcuts or cost saving measures were taken in the foundation preparation and construction. The owner is willing to share the plans and purchases so you can see the materials and quantities that result in a solidly constructed quality home. The home features 20-foot high ceiling in the main living area and volume ceilings throughout the rest of the home. There are beautiful sky lights in the main kitchen and living areas! The windows are Pella double pane for excellent insulation. The home has ceiling fans throughout as well as Carrier mini split inverter air conditioners, which are extremely energy efficient. The property has on demand water heaters and the roof is insulated as well. This home boasts 2 kitchens, both of which feature stainless steel appliances and quartz countertops. Porcelain flooring throughout–even in the garage. Also included is a water filtration/ UV purification system and security system. All woodwork in the home is constructed of local cedar. There are 2 lockable owner closets if purchasers are interested in rental revenue. The master suite has a large jacuzzi soaker tub and both main bedrooms have walk in closets finished with custom woodwork. The large double car garage also has 2 separate storage areas. The driveway, parking area and sidewalk are of comprised of custom brick pavers. The custom designed 33-foot-long salt water pool has a built in Jacuzzi bench with separate pump and is surrounded by Coralina imported from the Dominican Republic. The home is professionally landscaped and has an automatic irrigation system. Fully furnished, ready to move in. HOA fees are $104.62 USD per month which includes night time security and membership to the exclusive beach club. This property is the best value in the entire development and offered at only $599,000. Welcome to Los Almendros #57! 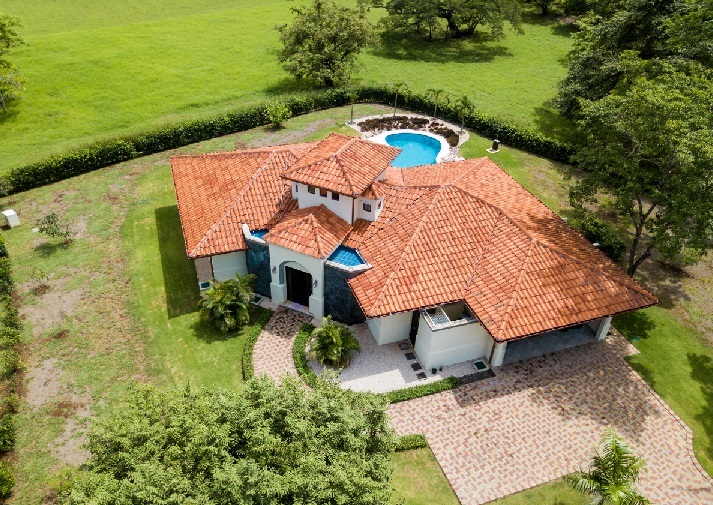 This amazing 8 bedroom home is located within Hacienda Pinilla—a 4500 acre beachfront community with Beach club, Spa, fitness centre, JW Marriott, 18 hole golf course, tennis courts, horse stables, white sand beaches, 18 miles of running and mountain bike trails, 24/7 security within a gated community, . Stunning local ocean photography has been blown up onto large canvas, lining all the spaces throughout the home. This imagery lends its name, Casa Oceana, to the home, representing the tropical surroundings and beaches of the area. Every bedroom and living space has its own split inverter Air Conditioning. There is a huge media room with 65″ flat screen, cable, Apple TV, Black out blinds and AC, and spacious couches. There is a modern and fully equipped kitchen with silestone quartz countertops and beautiful wood work throughout. Dining for 18 guests, with a BEAUTIFUL one piece hard wood dining table. This home is unique and a must see! Welcome to Courtyard Villa #10 in Playa Langosta~ This luxurious 3 bedroom, 3.5 bath, 2200 square foot villa has every thing you need including a private pool, granite countertops, stainless steel appliances, volume ceilings, separate laundry area and the high end furnishings that were carefully hand picked by a professional interior designer to create a tranquil yet sophisticated environment for you and your guests to enjoy. Located across the street from the beach! This villa comes fully equipped with all your modern conveniences such as Wifi, Cable, A/C, and phone. The property boasts three levels with the main living area and kitchen downstairs and two bedrooms on the 2nd level, with the master bedroom on the top floor. The master has a king bed, and guest bedrooms with queen bed and the 3rd guest bedroom with two twin beds. 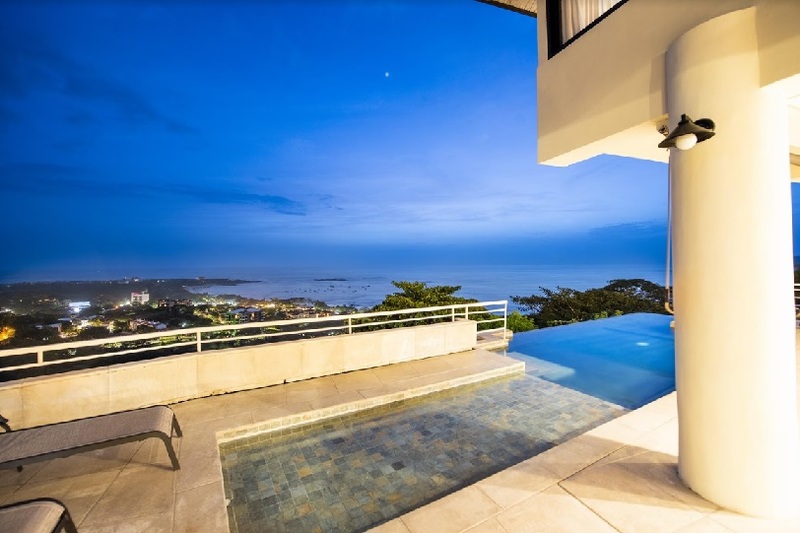 Playa Langosta is an upscale, quiet beach community just over a mile south of the popular village of Tamarindo where you will find a wide variety of restaurants, night life, shopping, banking and many more modern conveniences. Many say Playa Langosta is to Tamarindo what Diamond Head is to Waikiki. 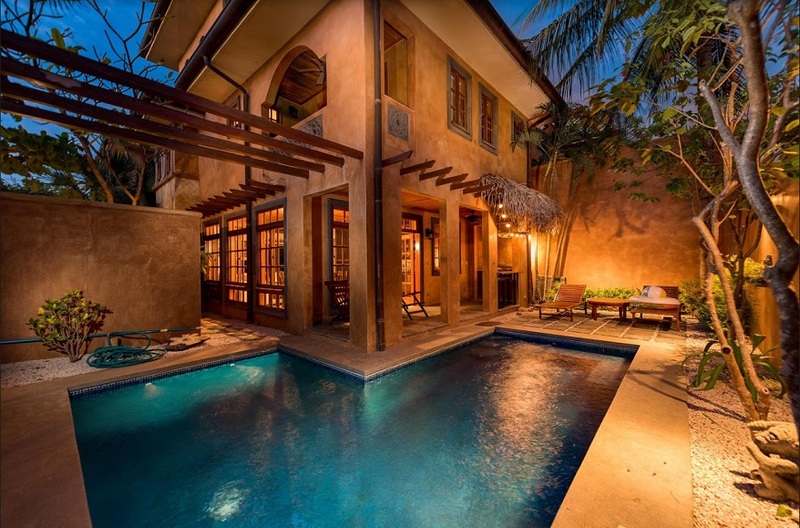 Courtyard #10 is a great villa located closest to the beach, which is right across the street! This would make a great vacation rental property or 2nd home. HOA fees $450/month. Welcome home to Dos Rios 26! This amazing new ocean view home is located within the 900 acre gated community of Mar Vista in Flamingo Beach. Mar Vista is a secure and private community with many other full time residents. 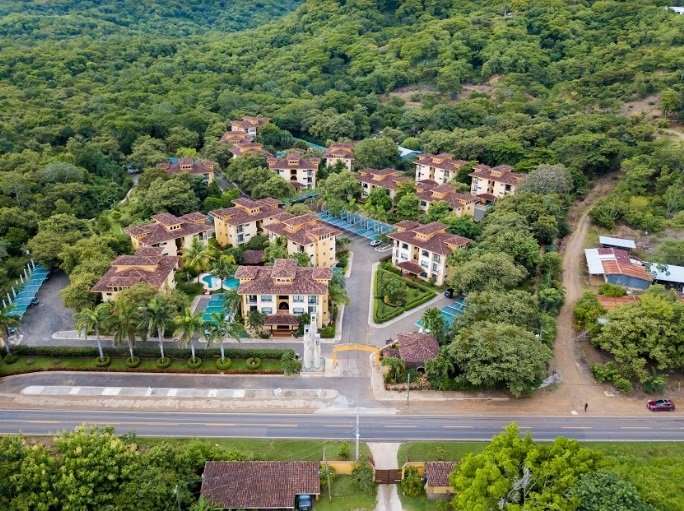 The community features an on-site restaurant (Gracia) and club with pool, on site La Paz International community school, tennis courts, gym and yoga studio (Completed in August 2018), and hiking and biking trails, organic orchard, 24/7 security, paved roads, underground utilities and more. Dos Rios 26 measures 2,100 SF and features 3 bedrooms, 3.5 Bathrooms, with a split floor plan. The property has many upgrades including upgraded Anderson dual pane windows, porcelain tile, wood cabinetry, high efficiency lighting, upgraded plumbing and light fixtures, energy efficient steel frame construction, inverter mini split A/C system, mini waste water treatment plant and designer finishes. Each bedroom has its own en-suite bathroom, ceiling fans and sliding glass doors. The outdoor area is superb with a private covered terrace area as well as your own infinity edge pool with wonderful ocean and sunset views! The lot measures just under 1/3 acre (1,206 m2) . There is a 2nd building pad on this lot where you could build a future guest house or an additional income producing property! The beach is located just a 3 minute drive from this property. 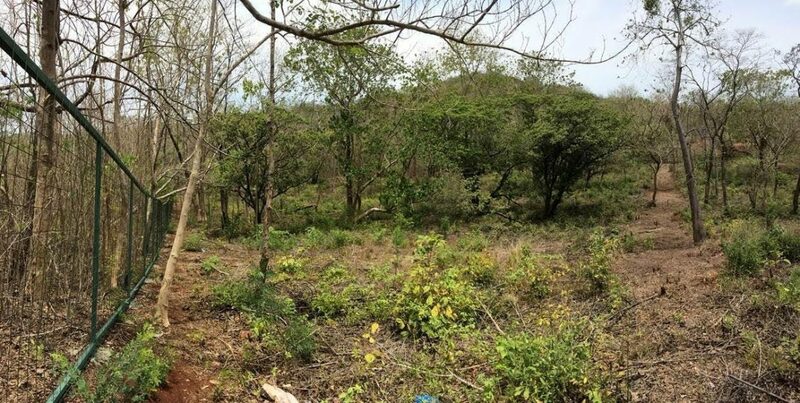 Situated just outside the Parque Nacional Las Baulas, this large, developable lot is immune to the problems of construction that has plagued this area for so many years. Measuring 5,895 square meters (about an acre and a half) this lot is a easy mile walk to the world famous white sand beaches of Playa Grande. Playa Grande has been a well kept secret for many years however with the newly paved road, one can drive to the international airport in Liberia in under an hour. Free of high monthly Homeowner association fees or restrictive regulations, you have the freedom to create a living space to suit just about whatever you desire. Want to build an off-the-grid residence, action rental home or BnB? No problem. This highly desirable lot is being introduced to the market at $110,000. With captivating ocean views this 3-bedroom, 2 bath condo, located on Flamingo’s prestigious north ridge, is the perfect vacation getaway. On the main level, the sliding doors leading out to the balcony from the living and dining rooms creates a spacious area for entertaining, relaxing and anticipation of an amazing sunset. Touting ample cabinet and counter space the kitchen features granite counter tops, stainless-steel appliances and more of the same great views of the Pacific ocean and mountains. The lower level offers a large master suite including an adjacent sitting area and adjoining bathroom. With two more bedrooms on this level, and a full-size hall bathroom, there is plenty of room for family and friends.The unit is in impeccable condition, recently painted with several upgrades, tastefully and beautifully furnished. It’s ready! All you need is your swimsuit and flip flops! Welcome to the breath taking ocean view condo situated in the heart of Playa Flamingo. This 2 bedroom 1 bath condo is the perfect spot to vacation and enjoy the gorgeous views of the Pacific Ocean. Sitting on the 3rd floor, this nicely decorated unit, has granite countertops, custom -made cabinetry and stainless steel appliances. 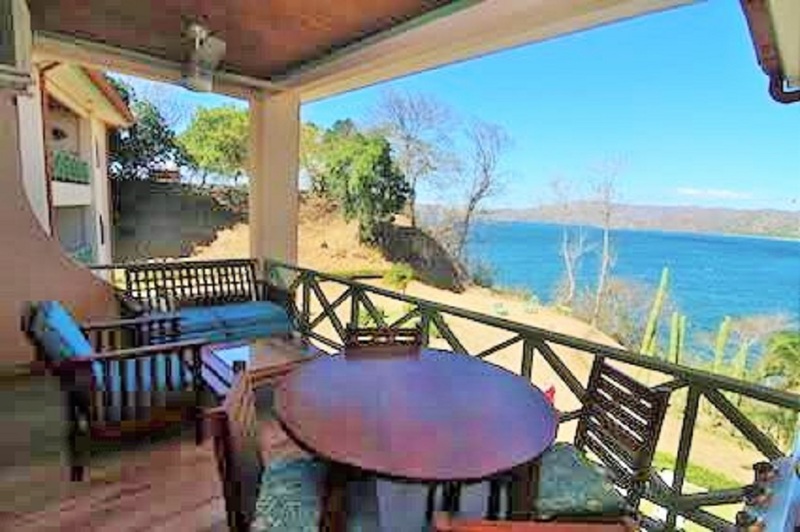 The sitting area offers a huge sliding door that opens up to the amazing views of charming Guanacaste mountains and overlooks the lovely Potrero Bay; the perfect combination of beauty. Walk down the steps to a stunning secluded beach or swim in the lap pool. 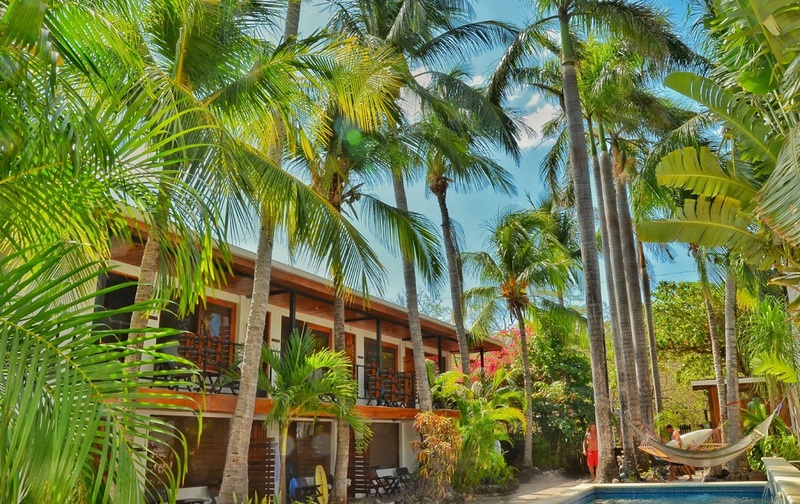 Punta Plata 516 is ideally located, close to the beach, restaurants, banks, souvenir shops and grocery stores. Do not miss this great opportunity to invest in this piece of paradise. 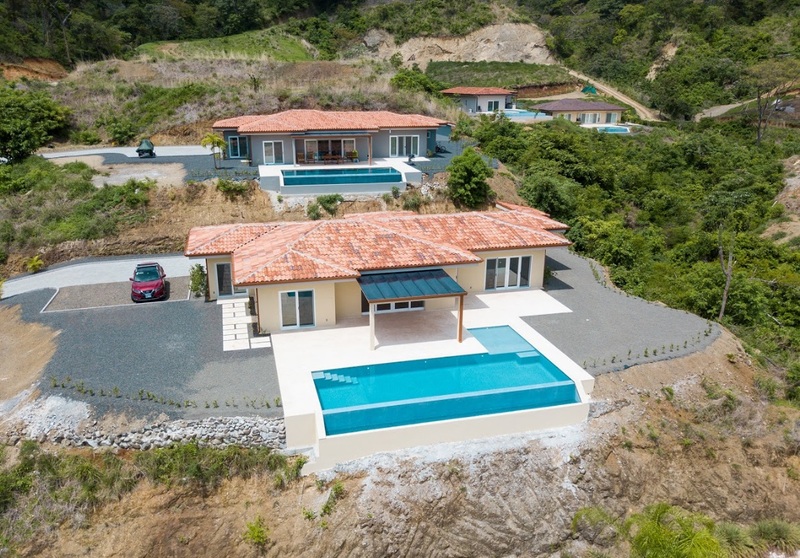 Keller Williams Costa Rica, the Costa Rican master franchise of Keller William’s Realty International, the world’s largest real estate company in agent count and closed volume, announced their partnership with Golfito Marina Village & Resort. 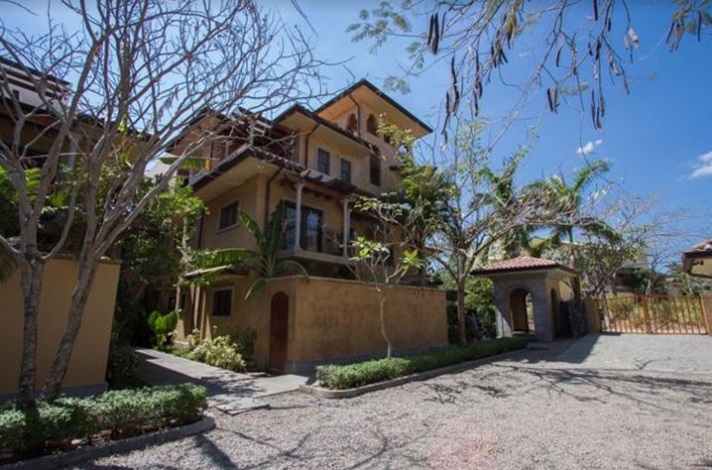 Keller Williams Costa Rica CEO, Allen Lungo, noted, “We are excited to expand into the Golfito area which is experiencing a construction and renovation boom. The plans to expand the local airport and with the main pier under renovation, we expect an increase in tourism traffic. 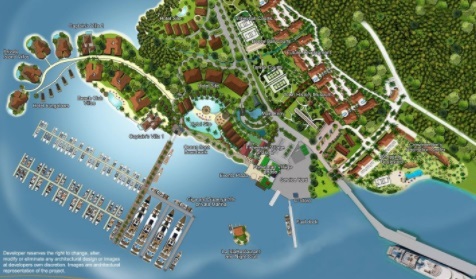 The new world-class super yacht marina and residential community being developed by Hacienda El Dorado S.A., just completed Phase I of construction. 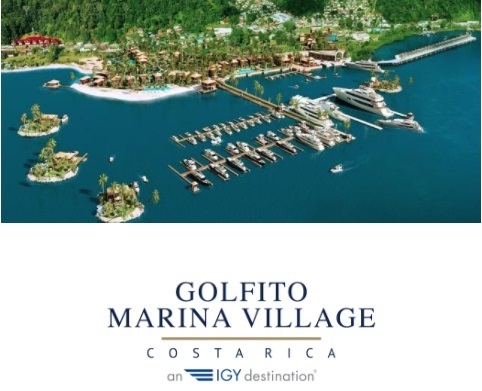 Golfito Marina Village & Resort is a 40+ acres inclusive of a 135-slip super yacht marina; with approximately 40 villas, each fully furnished and professionally designed and decorated; 255 luxury condominiums; Marina Village with 35 commercial stores; and a flagged high-end hotel with 70-120 rooms. Situated in one of the most ecologically diverse places on earth, the sheltered marina and luxurious oceanfront residences blend gently into the natural environment, surrounded by tropical rainforest and peaceful beaches. The 135-slip deep-water marina (50 slips currently in place), managed by IGY Marinas, features a spectacular array of amenities including private and secure slips easily accommodating vessels from 30 to 400 feet (9m to 120m); tournament fishing facilities; a 265’ fuel dock; and round the clock security and concierge services. A private yacht club will be added in the future. 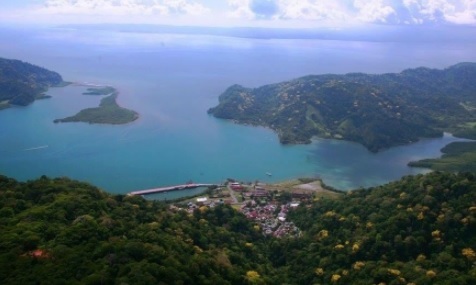 Just 343 miles north of the Panama Canal, Golfito Bay is the only approved drop-off and pick-up zone for yacht transport ships on the West Coast of Central and South America. Phase II construction is starting now! 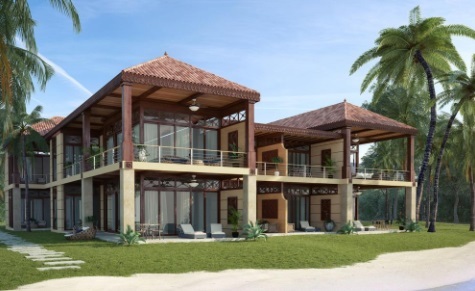 Own a place of private luxury with a rustic touch and choose from a limited selection of fully-furnished beach villas all enhanced with dramatic strokes of style, lush tropical landscaping and distinctive architectural accents. The residence will be among the last ever built in the area, ensuring that it forever remains a sanctuary of nature in its most beautifully presented state. In addition, our 255 condominium owners will have full VIP rights to the marina amenities. Golfito Marina Village & Resort brings a new definition of luxury to the marina and resort experience with unparalleled amenities, including a full service open air spa surrounded by waterfalls, well-equipped fitness facilities, exotic swimming pools, ecotourism, tennis courts, bocce ball, big game fishing as well as an island restaurant and nightclub for afterhours fun and entertainment. 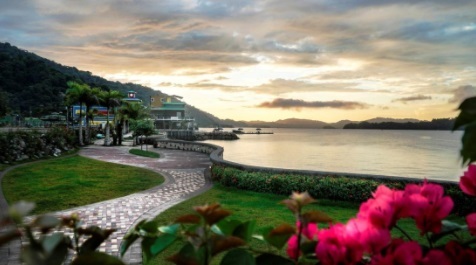 Adding to its unmistakable charm, the town of Golfito is a historic and lush setting along the country’s Pacific Coast. Residents and guests will be able to take full advantage of the sites and attractions of this area, including the recently constructed Shoppes at Golfito Marina and two-mile-long boardwalk called Paseo Marino. Keller Williams Costa Rica CEO, Allen Lungo, noted, “We know the developers of Golfito Marina Village have worked diligently to create a new standard in global, ultra-luxury yacht marinas with integrated communities of residents and businesses, and we are proud to have the opportunity to share it with international colleagues, including Keller Williams team members”.